Despite the odds, Kalinda has survived it all: Marriage to a tyrant. Tournaments to the death. The forbidden power to rule fire. The icy touch of a demon. That same demon now disguises itself as Rajah Tarek, Kalinda's late husband and a man who has never stopped haunting her. Upon taking control of the palace and the army, the demon brands Kalinda and her companions as traitors to the empire. They flee across the sea, seeking haven in the Southern Isles. In Lestari, Kalinda's powers are not condemned, as they are in her land. Now free to use them to protect those she loves, Kalinda soon realizes that the demon has tainted her with a cold poison, rendering her fire uncontrollable. But the lack of control may be just what she needs to send the demon back to the darkest depths of the Void. 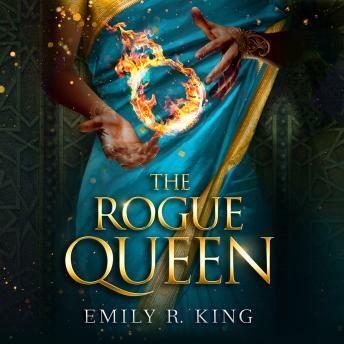 To take back the empire, Kalinda will ally with those she distrusts-and risk losing those most loyal to her-to defeat the demon and bring peace to a divided nation.